8 Feb 1997 At the 1997 All-Star Weekend, Kobe Bryant was just some young kid from high school, trying to make a name for himself. 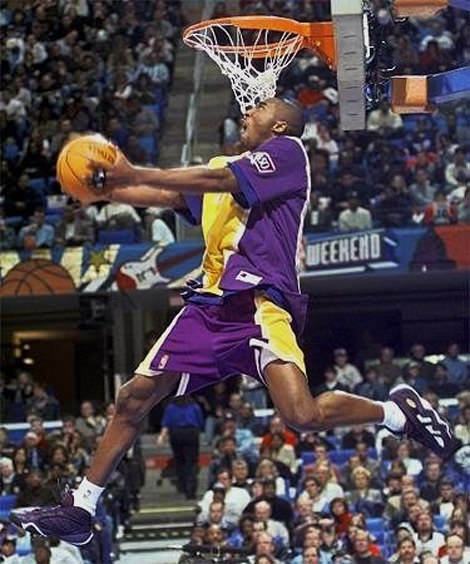 By the end of the dunk contest, everyone knew Kobe Bryant was a star. The dunk contest served as Bryant’s first chance to shine on a national stage. Playing behind fan favorite Eddie Jones, Bryant was relegated to coming off the bench during his rookie year, so very few were aware of what he was capable of. Once Bryant got going, however, it was clear that he was a star. It wasn't just the dunks that Bryant performed, which were spectacular. It was the way he carried himself. Bryant walked, strutted, and showed-off as if he was the biggest star in the building. All eyes were on him and he knew it. Being a star is about more than your skill on the court, and Bryant exuded confidence and excellence as he soared to do his signature through-the-legs dunk that would capture him the slam dunk crown. When it was all done and Bryant raised his slam dunk trophy, it was clear that a star was born that night. And Bryant would ride that wave of momentum to one of the greatest NBA careers ever. 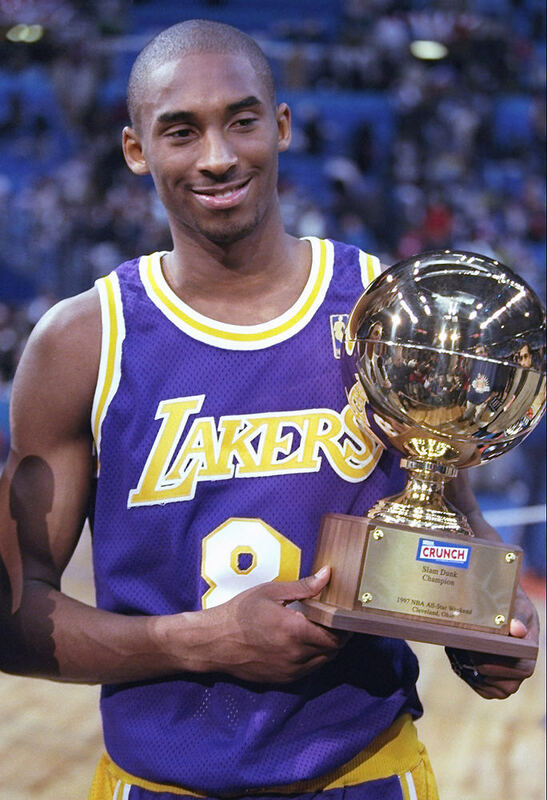 Kobe Bryant is the youngest player to win the slam dunk championship at the age of 18.